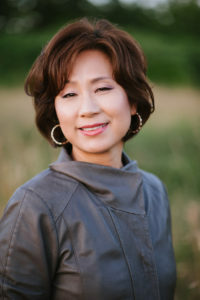 Dr. Park-Adams specializes in working with individuals and couples with relationship issues (work, romantic, or family). Dr. Park-Adams appreciates the significant challenges that families today face from both internal and external sources. She obtained post-graduate training from the Bowen Center for the Study of the Family (also known as the Georgetown Family Center) in Washington D.C. The Bowen Family Systems theory informs her psychotherapy practice, where she conceptualizes problematic behaviors or emotions within the context of emotionally significant relationships. Prior to opening her independent practice, Dr.Park-Adams has had a wealth of clinical experience in a wide variety of clinical settings, including community mental health centers, day treatment centers, outpatient mental health treatment centers and college counseling centers. She has worked with clients who have presented with depression, anxiety, mood disorders, social phobias, eating disorders, parenting issues, work/school performance issues, life transition issues and multicultural management issues. Her other clinical areas of expertise include work/academic performance issues, anxiety management, social anxiety, depression, transition/adjustment issues and multicultural management. Her counseling approaches are goal-oriented, dynamic and comprehensive. She puts emphasis on developing a collaborative relationship with her clients in order to help them achieve their goals. Dr. Park-Adams also has taught college psychology courses, and has provided clinical supervision for pre- & post-doctoral interns, pre-licensure professionals and psychiatrists. She has given presentations and training lectures on a wide variety of topics, such as stress management, anxiety management, and time management. For more information on Dr. Park-Adams’ professional experience, please refer to her Curriculum Vitae. On a more personal note, Dr. Park-Adams grew up in Korea. Having immigrated to U.S. as a young adult, she obtained her Ph.D. in clinical psychology from California School of Professional Psychology. Throughout her adult life, she has lived in many cities across America, including the West Coast, the East Coast and the South as well as in Sicily, Italy. Through these diverse life experiences and her broad professional experiences, she has gained an appreciation for the need to understand individuals within the context of where they live and work.